For some athletes, bike races are a fun way to celebrate their training and connect with amazing like-minded people. For others, it’s their important career milestones, providing a chance to shine. But even if you’re an amateur, packing like a pro is an integral part of a well-spent race day! From your bib number and cycle clips to snacks and even some medical stuff, there is a lot to remember. But fear not – with our helpful tips, you will soon become a master race packer, which is quite a useful (albeit unofficial) title to carry. Today, we’ll be talking about all the things you will need to feel and perform the best on your next race day – and many more events to come. Unless your race is going to be over in less than an hour, you need to plan your hydration strategy appropriately. Even mild dehydration (we’re talking teeny tiny 1% of your body weight lost with sweat) can jeopardize your performance greatly, making you feel tired and dizzy, interfering with your ability to focus and make important decisions, and bringing on unpleasant side effects such as stomach pain and headaches. Therefore, consuming enough fluid during events is extremely important! Depending on the event, you may choose to simply attach a water bottle to a slot on your bike, or go for something more sophisticated such as a hydration pack. Smallest hydration packs usually carry about 2 litres of fluid, which is a fair bit considering you can still have a spare bottle or two handy. There is also extra storage in hydration packs, which means you’ll be able to squeeze in a couple of extra items such as band aids or snacks. This is especially important if you’re participating in a long event – your body needs light, easily digestible snacks that provide an optimal balance of nutrients and microelements to fuel your muscles and your brain during the race. Ideal racing foods are soft, moist and delicious – yes, at the same time! Think bananas, tiny jam sandwiches, and energy bars (but only soft, moist ones). Avoid crunchy dry foods or excessively chewy stuff at all costs! Sports gels are also a nice option for a quick mid-race boost, although it’s not advisable to rely on them. A good rule of a thumb is to pack one gel for every hour, and an additional extra two in case other snacks fail to provide satisfaction on a particularly bad day. You can carry gels in outer pockets of your top, as well as slide them up each leg under your cycling shorts (one per leg is a safe bet). Also, please do not throw food wrappers into the bush! Until the race is over, they belong inside your top, or somewhere else you can easily slide them. If you’re still using safety pins to secure your bib number, it’s definitely time to ditch those unruly little things and opt for something far more convenient. 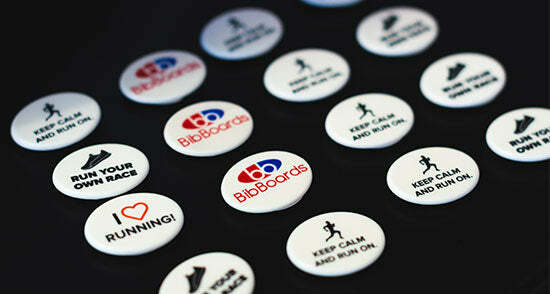 BibBoards are clever little pinless bib fasteners, which happen to be the best cycle snaps ever invented. They consist of two pieces which snap together effortlessly. The exposed side has a flat surface which does not look ugly or distracting, and a second piece works by pushing part of your shirt into a recess, providing a secure fit. After the race, they easily pop off, leaving no nasty holes behind – just a dimple that will wash out of fabrics easily. BibBoards are very durable, which means you’ll be able to reuse them many, many times. They are also much safer and much harder to lose than safety pins, which makes these Race Bib snap-ons an amazing pin alternative! Just like an umbrella on a cloudy day, if you pack it – you likely won’t need it…and sadly, the other way around as well. In addition, to ensure everyone’s safety, more and more events around the world are making carrying a First Aid kit a requirement, and a failure to comply results in immediate disqualification. So please, pack your medical essentials for every race! A typical kit carries 2 x gloves, 1 x sterile bandage, some elastic and antiseptic, but make sure to always check specific requirements to see if you need anything else. Better safe than sorry, especially when it comes to your health. Doesn’t matter if you’re not sure what every single one of those little things do – just take it, you’ll thank us later. Multi-tools usually have Allen keys, chain breakers, and various drivers, and maybe some other things which rarely ever get used. Never head off to a competition without a good old pump or even a set of CO2 canisters. If you go for the latter, make sure you know how to use those – a trip to a local bike shop will resolve any issues you may have. Carrying a spare tube is also a good idea – wrap it in plastic so dirt doesn’t stick to it, then tape it to the rear of your seat post. Voila! Just make sure it doesn’t rub on your inner legs, as stuff like this gets unnecessarily painful quickly. There you have it – a neat list of things to carry on your next event day! Of course, you can mix and match as every athlete and every race is different, but we do believe that this list covers most scenarios. Have a great event, and most of all – have fun!